The lead pastor of Hillsong Church Sweden, Andreas Nielsen, smashed his guitar to pieces while “Eye of the Tiger” by Survivor was being performed as a part of the worship service. The video was posted to the pastor’s Instagram account, and is still up, at the time of publishing. It has, however, been uploaded to our servers and you can watch it below. 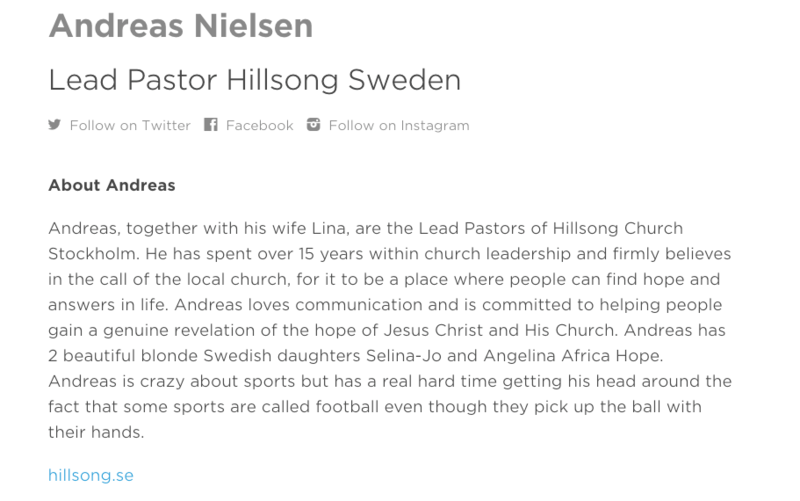 Andreas is listed as the lead pastor (along with his wife) of Hillsong in Sweden, as you can see below. His Instagram account is here. In reality, of course, this isn’t a pastor. This isn’t a church. This isn’t a worship service. It’s just a dude smashing a guitar.